Everything you need to end the day well! 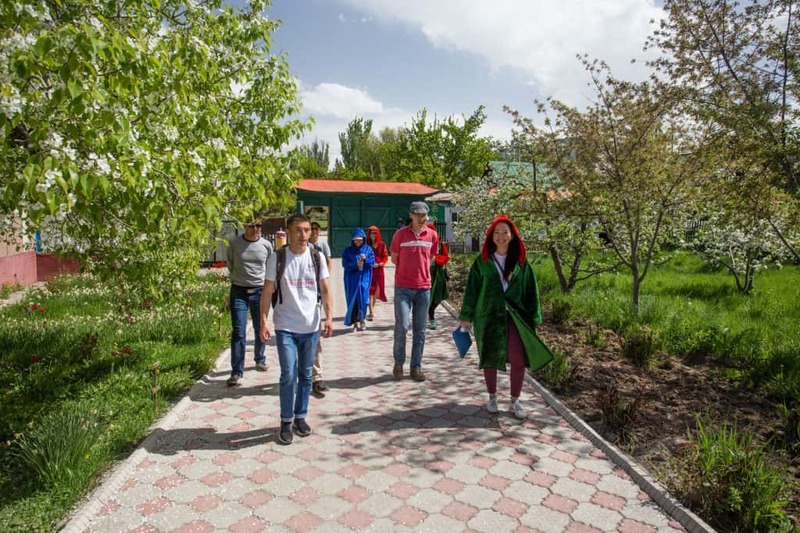 Whether you are located in Karakol or you are coming to Karakol as a destination, the choice of health & wellness activities are almost limitless. Such activities are great way to relax in after a long day of travelling or after long days hiking. Following wellness experiences are opportunity to relax in nature and to become aware of your inner self and to renew your energy. Immerse yourself in nature with these activities centered around a healthy lifestyle of physical, mental, emotional and spiritual wellness. 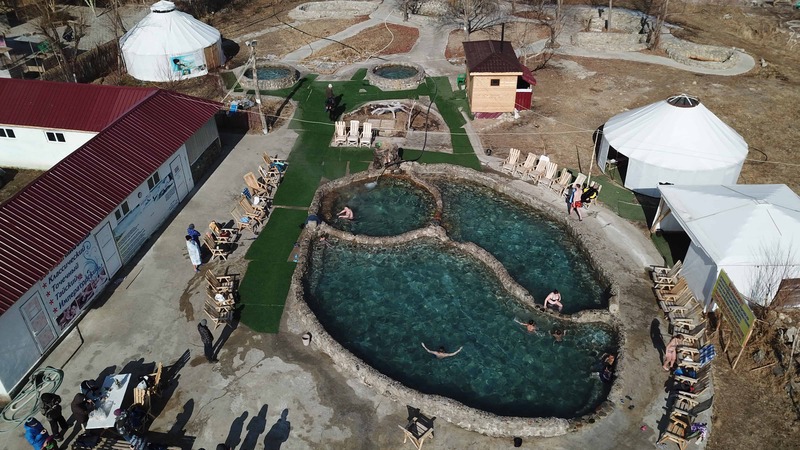 Find health and relaxation at high altitude with these Karakol wellness centers, natural hot-springs or traditional banyas or saunas and discover a side of Karakol that many visitors miss. There is no shortage of wonderful ways to relax your muscles after a trek or long day on the slopes. How do locals relax themselves in winter? It’s hot spring! A soak in hot springs has been an essential part of Karakol culture for a long time. Kyrgyzstan has a lot of thermal springs in general, there are several hot springs spots near Karakol, one of which is Ak-Suu Kench. There is no need to travel far to experience a refreshing dip since Ak-Suu Kench is only 30 minutes away from the city. There is also a frequent public bus (Ak-Suu #350) that goes from the city center, making it easier for travelers to get to the hot-springs during the day. What could be better than taking a dip in hot springs to relax your muscle and clear your head after an extremely active day. This is a good option for solo travelers as well as big groups or families. Where: Located 30 minutes drive from Karakol near the village of Teploklyuchenka (Ak-Suu) on the way to Ak-Suu Resort (Please see the Google Map below). Age Restrictions: The activity is good for adults and children of any ages (There are special pools for children). Additional info: The price is 200 KGS per person. Food & Drinks are available in a cafe on the territory of hot-springs. It's open throughout the year. 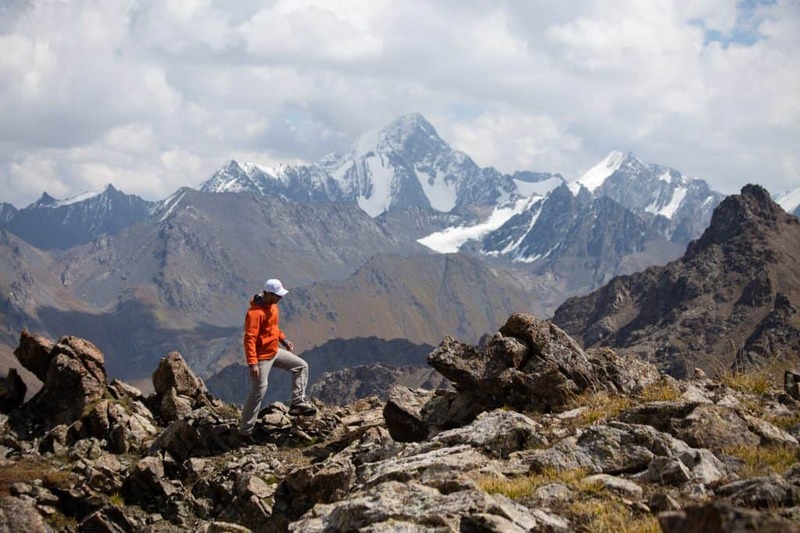 Experience another beautiful place in Kyrgyzstan and soak in thermal waters located in the village of Chong-Oruktu, an hour's drive from Karakol. The village located at the shore of lake Issyk-Kul is famous for its hot-springs, therefore there are more than four of them, where you can unwind at thermal waters on a full-day visit or just for a few hours. There are pools of varying temperatures, cafes and bars where you can purchase some drinks and order traditional meals for reasonable prices. 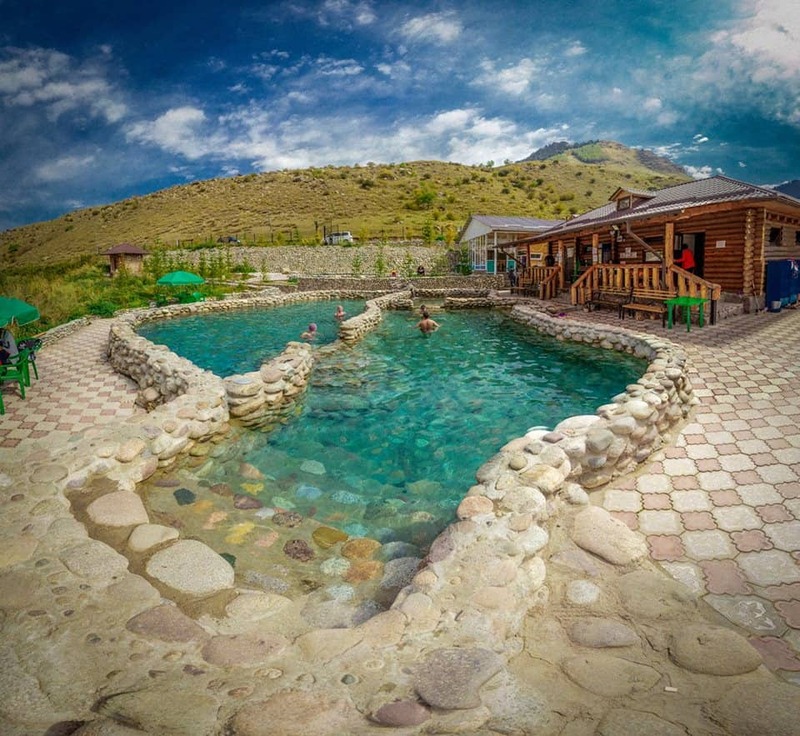 Chong Oruktu Hot-Springs located just one hour from Karakol makes this quite easy way to escape the city for a day, where you can swim, relax tired traveling muscles, and enjoy some drinks before returning to the city. Where: There are several hot-springs located in and near village Chong-Oruktu, which is about 70 km from Karakol and 50 km from Cholpon-Ata. (Please see the Google Map below). Most of them are open throughout the year. 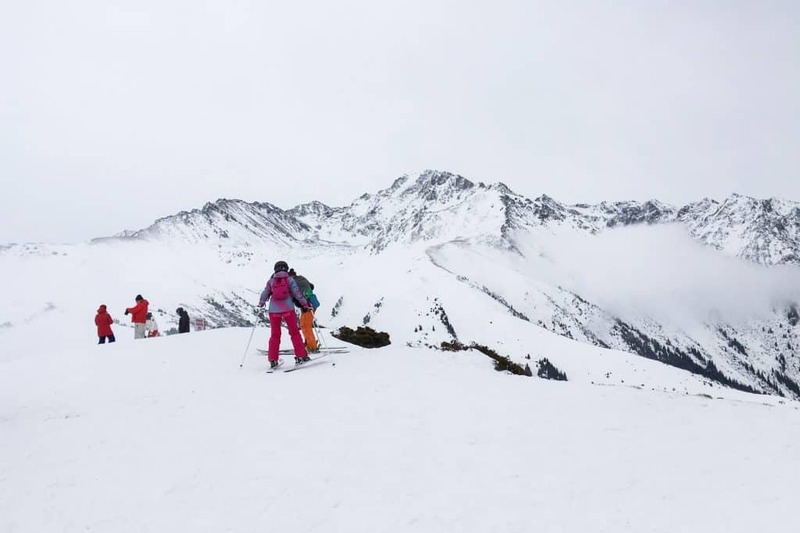 Additional information: There is no public transport to this place from Karakol, so if you want to visit you should organize a private taxi from your hotel or contact us, so we can provide the transfer. Approximate price for taxi is about 1500-2000 KGS for the car. Experience a traditional Russian banya or sauana in the city of Karakol and spend your time to fully recover from a strenuous hike or a long day on a slope. Usually the Russian bath experience consists of a relaxing session in a steam room ("parilka") followed by a dive into a cold swimming pool; this is typically repeated a few times, leaving your skin feeling refreshed and rejuvenated. In order to improve the circulation people often hit (massage) each other with bunches of dried branches and leaves made from white birch, oak or eucalyptus ("banniy venik"). 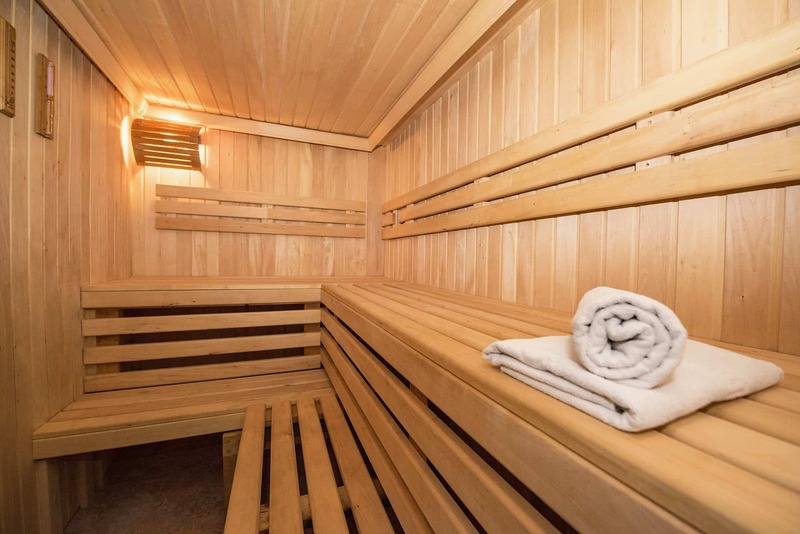 There are many banyas & saunas in Karakol. Most of the places features both cold and warm pools, a toasty wood sauna, and hot showers — everything you need to end the day well. Note: Most of the "banyas" are considered as public bath, you can have a separate room for additional cost. Drinks & food also available in most of the places. Where: Dear visitors, currently we are working on a separate page with recommended saunas & banyas in Karakol for travelers. For now you can see the Google Map below and find the nearest banya or sauna to your hotel/hostel.